This lovely lady had a gorgeous baby shower at the Denver Botanic Gardens this weekend to celebrate the upcoming birth of her first little one. She wanted to capture some beautiful maternity photos before the event while we had access to such a stunning place. We had a great clear day and were able to get many different garden settings and flowers before it got hot, crowded, and her shower started. 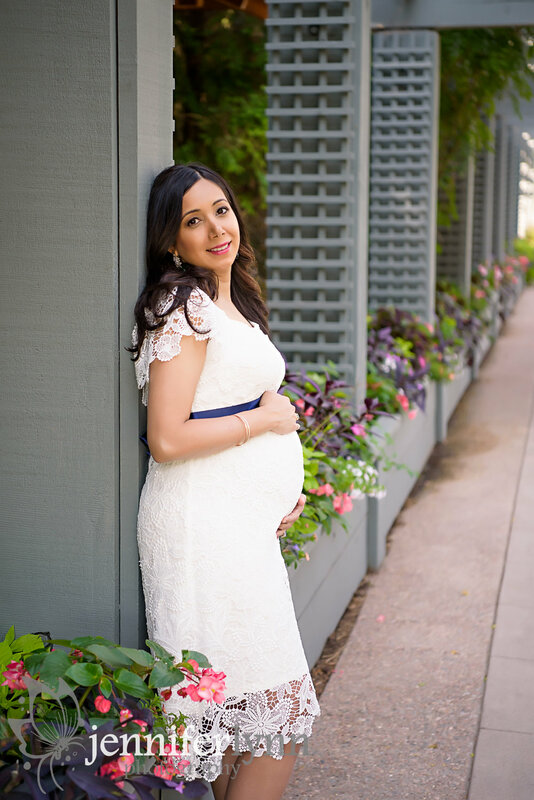 Her husband was a trooper following us around in his suit and enduring the sun, and I think we got a great mix of couples portraits and maternity photos featuring Jasleen and her baby bump. I arrived a the gardens early to scope out the areas with great summer flowers, and the Victorian Secret Garden and arboretums near the back were perfect. 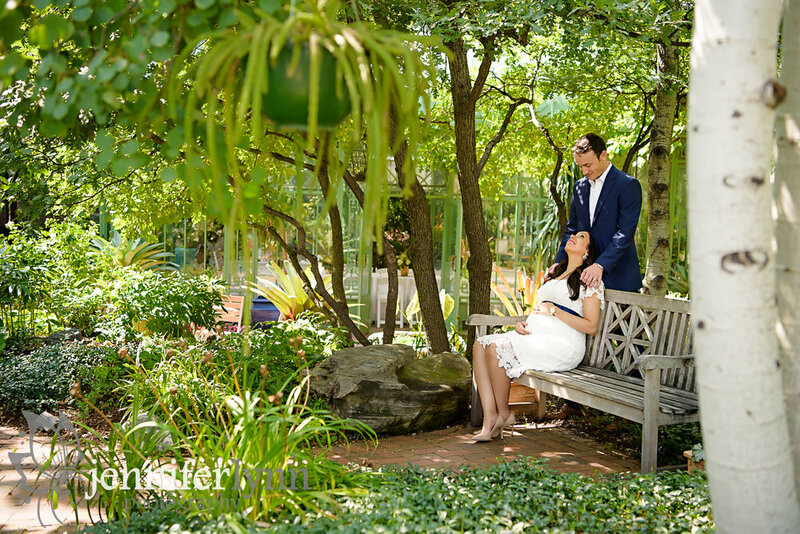 We also were able to get some images by the lily pond, which is my daughter's favorite spot, before it got too hot and crowded, and I love how those with the couple turned out. This was also the first time I had a client with a real floral crown. I love how it truly fit the setting and made Jasleen look like she belonged in the gardens. I'm so excited for this couple to meet their son in just a few short months and officially become a family of three. Enjoy this time together before baby arrives and I can't wait to be part your journey with your newborn session. Thinking of booking a maternity session for your little bump? It's never too early to get on my calendar to make sure we time it right in your third trimester. I offer these special sessions exclusively to my newborn clients, so check out my newborn package and be sure to preserve all these special memories for YOUR family!